In 2004, one of the world’s last bands of voluntarily isolated nomads left behind their ancestral life in the dwindling thorn forests of northern Paraguay, fleeing ranchers’ bulldozers. 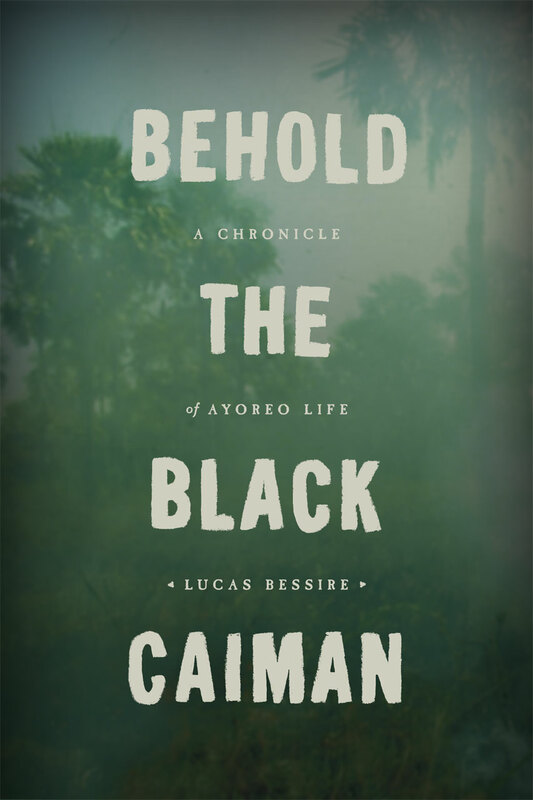 Behold the Black Caiman is Lucas Bessire’s intimate chronicle of the journey of this small group of Ayoreo people, the terrifying new world they now face, and the precarious lives they are piecing together against the backdrop of soul-collecting missionaries, humanitarian NGOs, late liberal economic policies, and the highest deforestation rate in the world. Drawing on ten years of fieldwork, Bessire highlights the stark disconnect between the desperate conditions of Ayoreo life for those out of the forest and the well-funded global efforts to preserve those Ayoreo still living in it. By showing how this disconnect reverberates within Ayoreo bodies and minds, his reflexive account takes aim at the devastating consequences of our society’s continued obsession with the primitive and raises important questions about anthropology’s potent capacity to further or impede indigenous struggles for sovereignty. The result is a timely update to the classic literary ethnographies of South America, a sustained critique of the so-called ontological turn—one of anthropology’s hottest trends—and, above all, an urgent call for scholars and activists alike to rethink their notions of difference. "Behold the Black Caiman wrestles with the complexity of life and the ways in which it can be both dehumanized and endured. The book’s innovative, elegiac style is not merely an aesthetic device, but rather a provocation. Bessire is asking us, as readers, to think with him."